Abby McKenzie is a Sydney-dwelling illustrator currently working in animation. She has been drawing without pause since she was small, and cares deeply about creating character art that is emotive and engaging. Her history of professional illustration is peppered with concept work, storyboarding and comics. Her proudest achievement is spending more time drawing than she did studying during her final year of highschool; it paid off in the end. 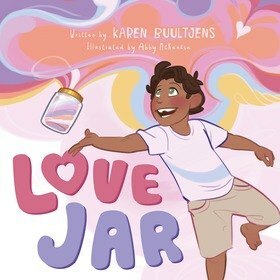 Love Jar is her first children's picture book.